As you probably know, I was pregnant last fall and winter. 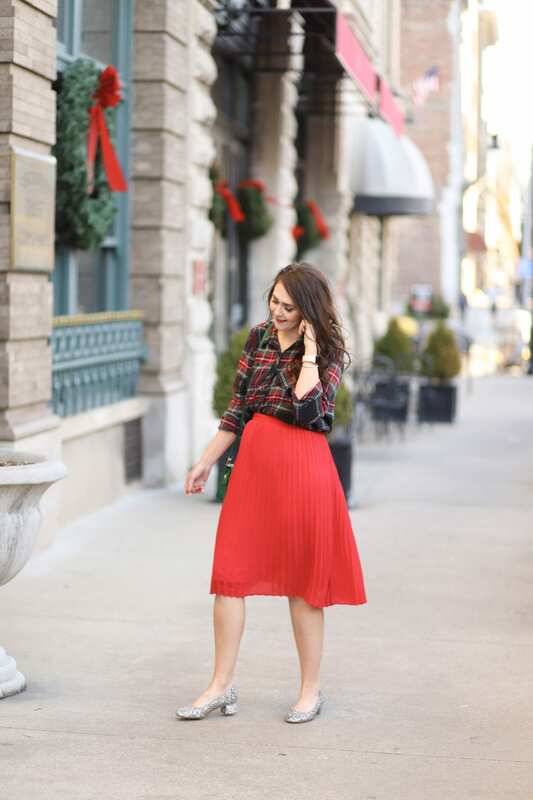 While I did wear maternity clothes, I also sometimes sized up in normal, non-maternity clothes. 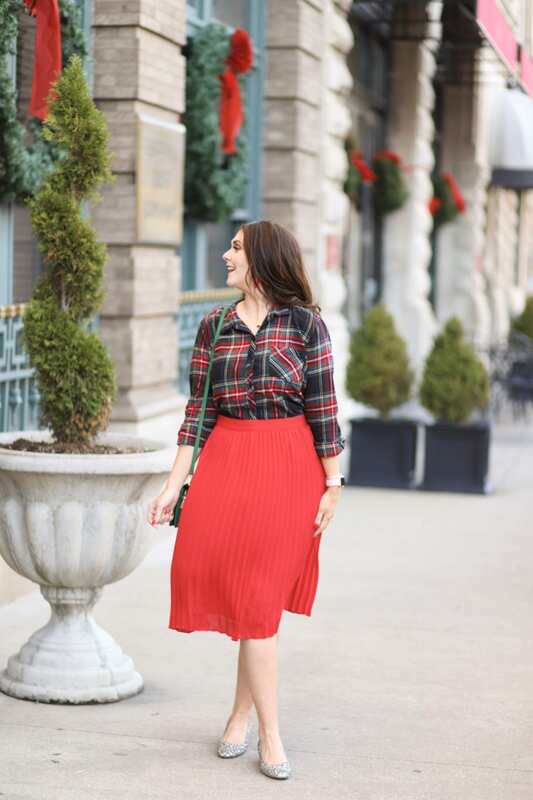 I actually first styled this plaid top when I was around 25 (or so) weeks pregnant–you can see that post here. 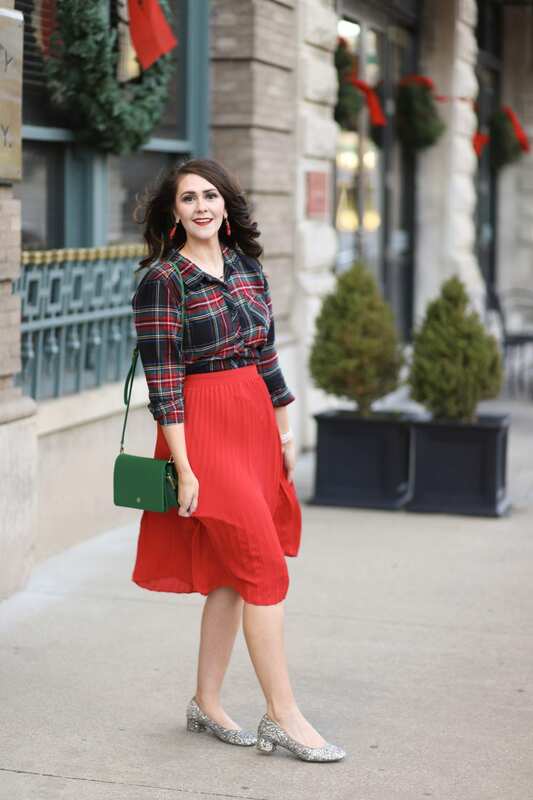 This black holiday plaid top is a little big, but it works well with this red pleated midi skirt. 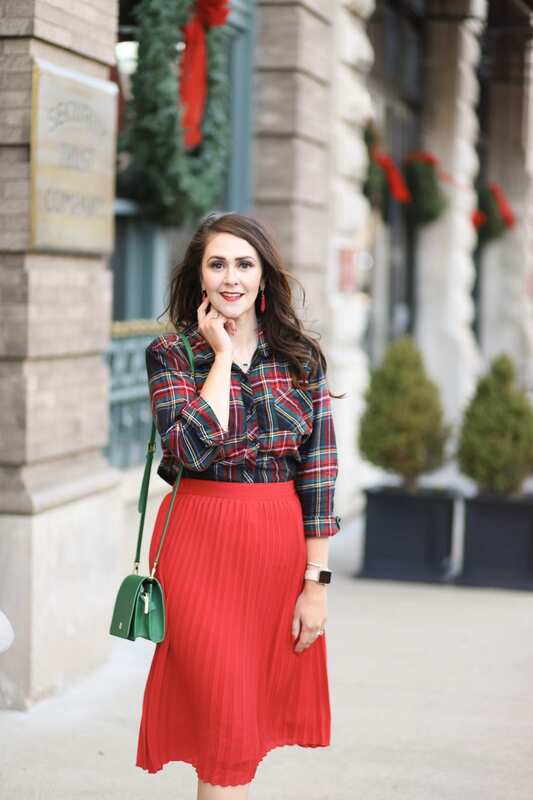 I always gravitate towards red plaids for the holidays, but that’s very expected–I love black holiday plaids because they’re not. The black background provides a pretty foil for the reds and greens to really pop. Mine is a J.Crew dupe I picked up at Walmart last year, but I linked a very similar one above. 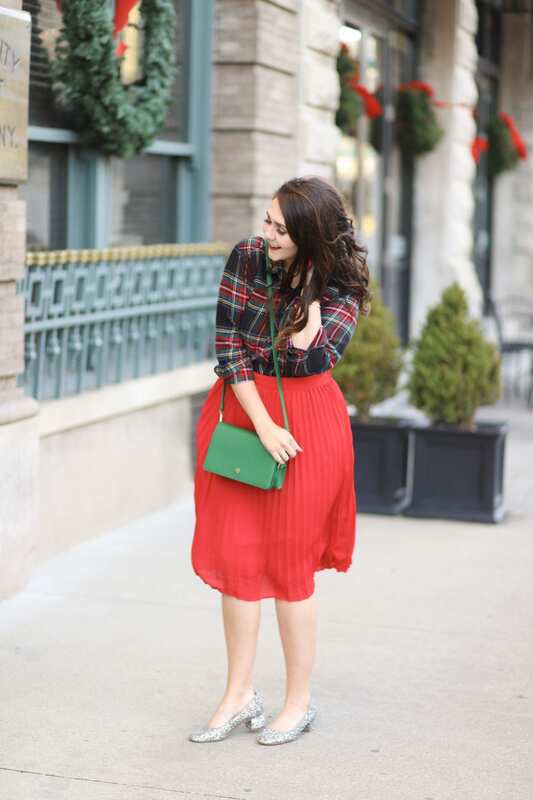 As for my red pleated midi skirt, I was extremely excited to find it on the clearance rack for $13.98! 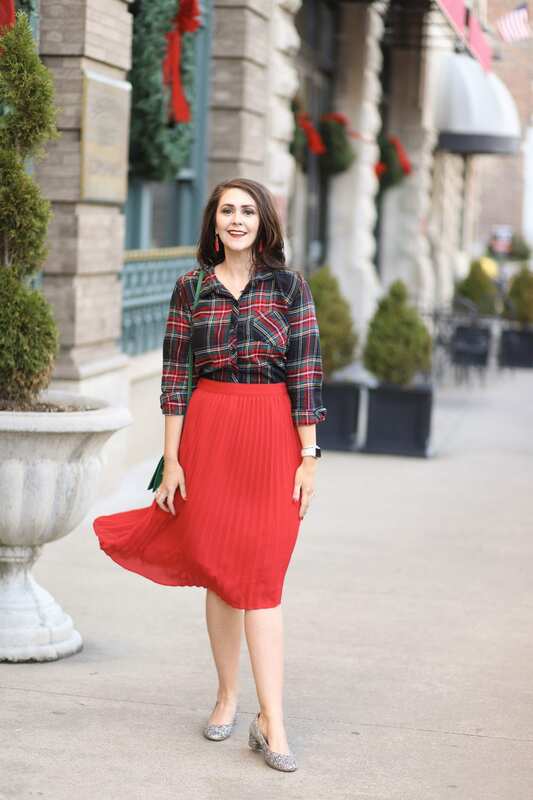 This is a beautiful skirt that you can get year-round wear out of. . .next up, I’ll be wearing it for Valentine’s Day. It has great movement, and really floats about you as you walk. Finally, if you don’t have a pair of glitter heels in your life, change that ASAP. This pair is comfortable to wear, under $30, and looks so cute for an instant outfit pick-me-up. 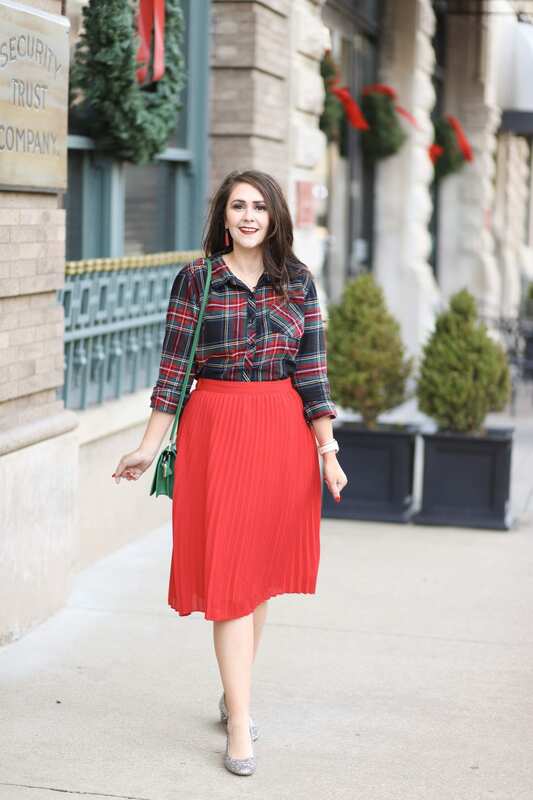 What a fun festive outfit! Red is so your colour! You look lovely! 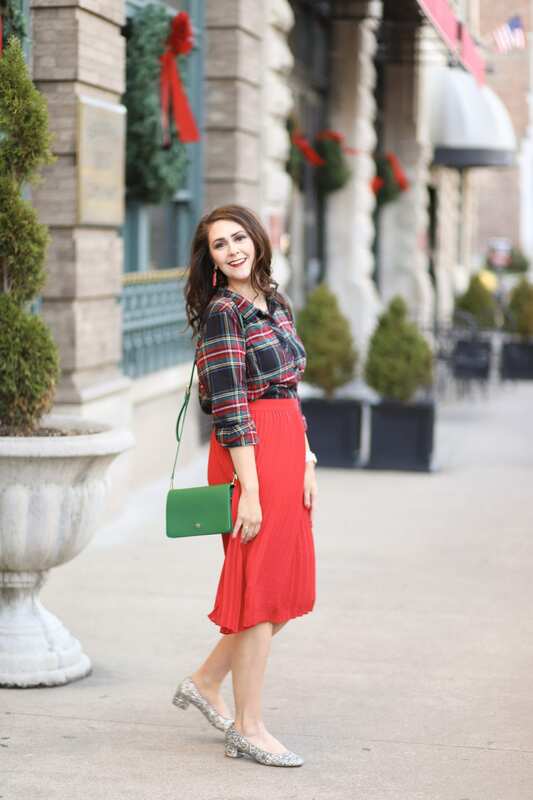 Love this fabulously festive look!